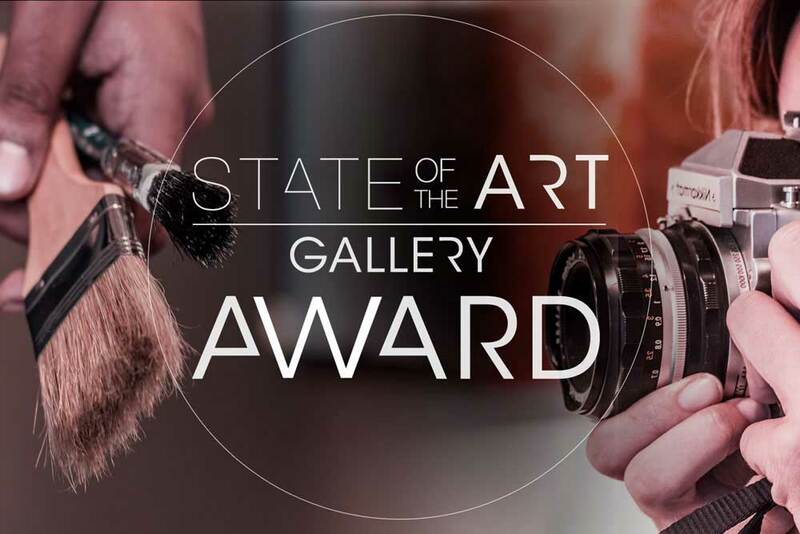 We are delighted with the outcome and success of the inaugural StateoftheART Gallery Award in 2018. Like State of the Art Gallery Award on Facebook to stay up to date with the latest news and events. 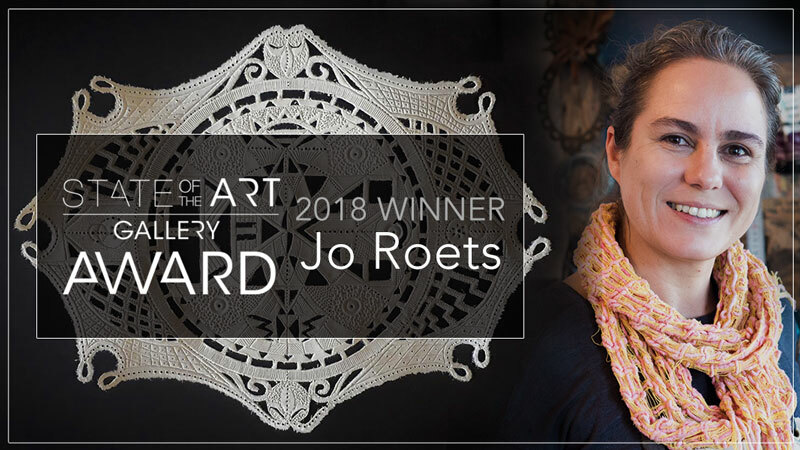 We are delighted to announce Cape Town based artist Jo Roets as the winner of the StateoftheART Gallery Award. At first glance Jo's delicate works could be mistaken for being made of paper - or leather - instead of the clay which is the artist's chosen medium. Comments from the judges include "Although 'borrowed' or 'sampled' in a post modern fashion, this work stands out in originality and technical skill" and "I find Jo's work very interesting. It contains more than one meaning, and possibly several. It uses symbolic imagery and yet the artwork still works as a visually appealing creation". Jo's intricate sculptural works are priced from just R3 000.00 and can be viewed online here. After careful consideration of several hundred entries by artists from around South Africa, the judges have shortlisted 10 artists working across a number of mediums including sculpture, painting and printmaking. The work of the shortlisted artists will go on show in a special exhibition at StateoftheART’s Cape Town gallery from 06 – 22nd September 2018 for the final round of judging. The winner will be awarded a R10 000 cash prize and a solo exhibition with the gallery in 2019. Jo Roets; Janna Prinsloo; Anna-Carien Goosen; Nadine Hansen; Lezanne Kotze; Adele Van Heerden; Anina Deetlefs; Lebogang Mabusela; Tina Teles; Chloe Obermeyer. StateoftheART launched the inaugural StateoftheART Gallery Award in February 2018, to unearth undiscovered talent by artists from around South Africa and provide a platform for artists to gain industry recognition and boost their career. Five respected judges involved in the art industry have selected the shortlist of 10 finalists whose work shows originality, a strong signature in South African context, and technical skill. We are accepting submissions from entrants who are permanently resident in South Africa and aged 18 years or older on the 01 January 2018, and who have not yet held a solo exhibition with a commercial gallery. Local judges will choose finalists whose work will go on show in a group exhibition at our Cape Town gallery in September 2018 for a final round of judging. All entrants are required to submit three works which define their theme, signature and aesthetic as an artist. Online entry will close on Sunday 30 June 2018 and the finalists announced during the 1st week of August 2018. The competition is open to all Entrants who are permanently resident in South Africa and aged 18 and older on the 01 January 2018, and who have not yet held a solo exhibition with a commercial gallery. Submitted works of art must have been completed no more than 12 months prior to the closing date of the competition. Do not apply with work that is dated before 2018 or that has been previously entered into a competition. Online entry opens on 1st April 2018 and closes at midday on Sunday, 30 June 2018. NO LATE ENTRIES WILL BE ACCEPTED. Entrants must submit a minimum of 4 different artworks, of any medium from paintings, photography, mixed media, sculpture - with the exception of performance and video art, to be accepted for the competition. Our Judges will be looking for a body of work with a unique signature in a South African context, which shows significant potential, interesting ideas, a relevant message and demonstrates skillful execution. Works submitted for the competition must have been created by the Entrant i.e. his/her original work and remain his/her property for the duration of the competition and exhibition until such time as the work has been collected by, or returned to the Entrant, or sold during the exhibition. Each artwork (including if made of several pieces, e.g. diptychs/triptychs) must not exceed a total of 275cm x 275cm (including the frame) and must not project more than 50cm from the wall. If a sculpture, it can be up to 275cm x 275cm x 200cm. The Entrant accepts that all work submitted will be available for sale and if shortlisted for the Finalists Exhibition, the chosen artworks must be available and the physical artwork delivered to the StateoftheART gallery in Cape Town for judging by the required date and for the full exhibition period. If a work is sold by the Gallery, 50% (fifty percent) of the Sale Price excluding VAT will be allocated to the artist and 50% (fifty percent) to the Gallery. State Of The ART Gallery CC will not be liable for any loss or damage to any artworks physically submitted at any point in the prize, however caused either in transit to and from the exhibition, or during any period of storage, packing or unpacking, exhibition or in any period in which the work is in their keeping. Works submitted for the competition will remain the property of the Entrant for the duration of the competition and exhibition until such time as the work has been collected by, or returned to the Entrant, or sold during the exhibition. Once registered for this competition, all Entrants agree that we, State Of The Art Gallery CC, may reproduce their work (at no fee) for any purposes required (including press/publicity/website and catalogue and any other printed or digital material, advertising the exhibitions and future entries), excluding for resale unless authorised by the artist. Complete the digital entry form and upload a copy of your ID. Enter three artworks into the competition. Only one image of each work must be submitted. The image(s) and the completed digital entry form must be submitted online on this website. Entries received late will be invalid, unless the competition is extended for any reason, then entries received after then but before the new extended date will be valid. Uploaded images MUST be in JPEG format only. JPEGS must be up to pixel height/width of 1500x1500 at a preferred 150dpi and at a maximum of 1MB each in size. If your file is not in JPEG format or is over 1MB it will not be submitted.